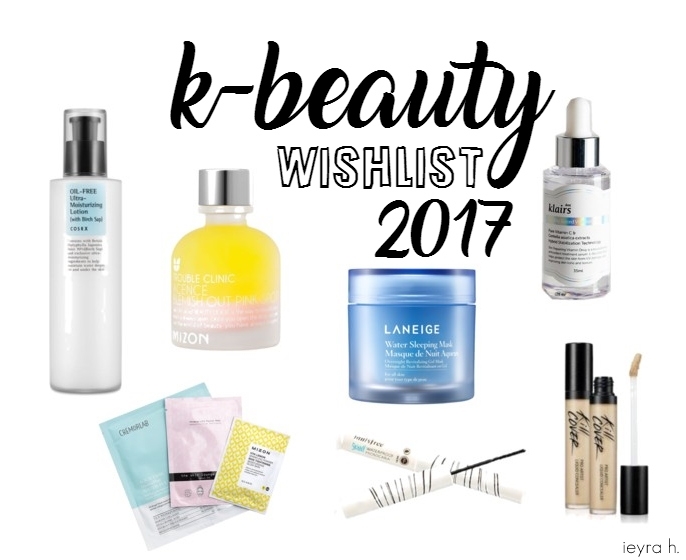 Home wishlist K-BEAUTY! What's In My Wishlist This Year? My current love for Korean Beauty products is no secret, I've been diligently incorporating them into my makeup and skincare routine for over than a year now. Here's a list of products that I'm currently lusting after. p/s- this post DOES NOT contain any affiliate links. What a K-Beauty routine without its sheet masks, right?. There are a lot of them I've been wanting to try, especially from the brand Mizon, Klairs, Papa Recipe, Benton, Jayjun, and Klavuu. ALL. The never ending list! Image: My haul from Seoul! If I can resist, those above are probably the only K-Beauty products I'll be buying for this year, but I think the list is surely evolving as I read many more blogs, scrolling down my Instagram's feed, monitoring new releases and receiving recommendations from everyone. So, last but not least, what are you currently coveting?